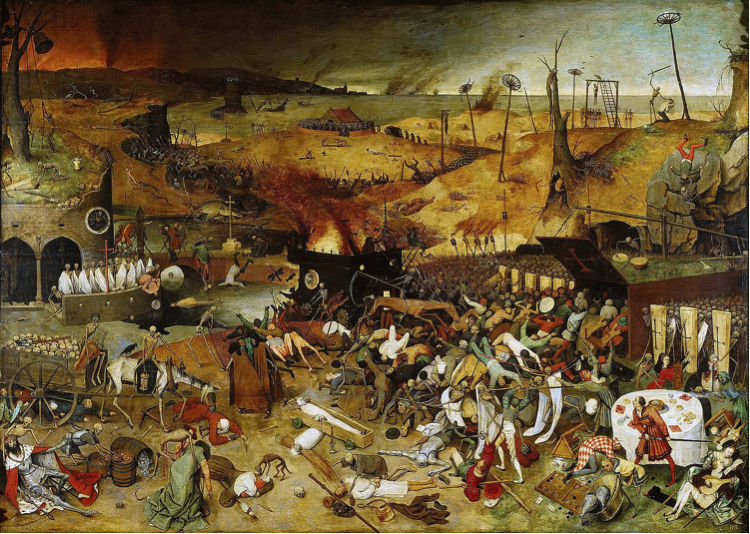 ‘The triumph of death’ is one of the most famous paintings associated with the Dark Ages. In the centre of this dark age era, a man, Ibn Al Haytham was busy trying to find the light, and in doing so he built the first ever pinhole cameras. His work on light and scientific method would be used centuries later, but his name, forgotten, left in that dark. Fatima Al Fihri founded a madrasa and university, (which just so happens to be the oldest continually running university to date), later becoming a centre of advances in thought in the Islamic world. But a woman opened it, and it was 859AD. Far too dark. Muslims can be lucky they had one person who recognised the importance of ijtihad in the 20th century. Unfortunately we don’t teach our kids about him and the history books have tried their hardest to erase his name. A product of the Dark Ages. Take us back!!! Next article Gibraltar Has Been Getting International Media Attention: Do You Know the History Behind It? theres was no enlightenment. One may physically stand higher & closer to the light by standing on his neighbors back but it will not enlighten, only push one deeper into the darkness toward the deceiver. If one looks at the history with an open mind the truth becomes apparent. 1. Europe’s dark age was the result of the collapse of society after the Roman Empire fell. The whole of society DEPENDED on the foundations of the Empire that when it fell they no longer knew how to live. How did the Empire fall? Aggression from Vikings, Barbarians, Huns, Turks, and (hold on to your hats) Muslims; all jockeying to get a piece of the pie from the fallen Empire. 2. The first few Centuries of Islam were actually not very religious. The new religion wasn’t as strict nor codified as it is now, and was MUCH more accommodating towards other religions (mostly because Muslims were still in the minority) Ironically it was actually the LACK of religion that allowed the Golden age to happen. The name of Muhammad wasn’t even found written for 60 years after his death. Additionally, The most famous “Muslims” who contributed to the “Islamic Golden Age” were mostly non-religious and secular people. If you go through their lives and writings many of them were skeptical of the faith. Maybe true. However the islamic/arab world screwing up their “golden age” for centuries to come is much much more embarrassing than what europe SUPPOSEDLY went through. Many modern day scholars dont even believe the “dark ages” is an accurate term anymore. Actually “Dark Ages” is a colloquial term and always has been. It would be as much folly to credit the human achievements listed above as islamic achievements, just as it would be to credit them if they were from another religion (Jew, Christian, etc.). Some say there is no such thing as a good muslim, that isn’t necessarily true. But I know that if that person expresses qualities of “good”, “intelligence”, etc. it is largely IN SPITE of the fact that they are muslim, NOT BECAUSE they are muslim. The quran is a vile, hate filled book that teaches and advocates violence, intolerance, deception and pedophelia. Doesn’t exactly sound like a blueprint for evolution of the human spirit. As a gnostic, I know that ALL religion is mental/emotional/spiritual slavery, but none are more treacherous, violent and intolerant than islam. At least other religions don’t sentence you to death for wishing to leave, or even just asking questions. muslims are terrorizing each other in their own homelands, bickering and accusing the other of not being a “true muslim”….and they expect US to be tolerant and “coexist” when they police and punish with death/violence one another for perceived “infractions” in what has become a sick game of “one-up” over the other?